CHARLIE MADIGAN set up the first and scored the second either side of half time to seal St. Aidan’s CBS place in this year’s showpiece as they defeated St. Francis College in the RSC, Waterford this afternoon. Both sides played out a wonderful contest in the sun kissed Waterford venue. St. Aidan’s got a dream start to their Cup campaign when Madigan was fouled inside the box with just six minutes on the clock. The versatile Sam McMahon slotted home confidently for the Dublin outfit. William Buckley responded for the Rochestown crew five minutes later with a well-executed set piece that saw the outstanding Noah Sauny get his finger tips on the ball to nudge it over the crossbar for an exceptional save. Some brilliant aerobatics from Roco star Adrian Thibaut saw his fine effort sail over the woodwork as the Cork side pressed for an equaliser. Their hard work was rewarded on 28 minutes when Harry Nevin scored a screamer from the edge of the box following great work from Thibaut to set him up brilliantly. The Dublin side could have went into the interval 2-1 up but McMahon’s set-piece clipped the outside of the post on the half hour mark. All square at the break. St. Aidan’s netminder Noah Sauny produced a top class save to deny Rochestown talisman Harry Nevin six minutes into the restart. Another massive save from the Dublin keeper saw Suany deny Nevin again on 54 minutes. St. Aidan’s were playing some delightful football as the half progressed and Charlie Madigan produced a nice strike to slot past Ryan Delaney three minutes later and this proved the match winner. 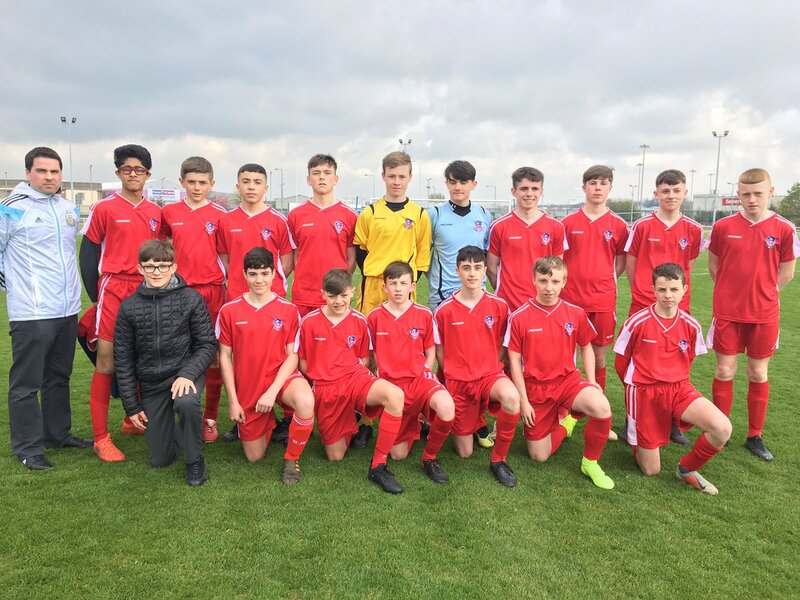 The other semi-final will be played out tomorrow in the Showgrounds, Sligo Rovers with St. Columba’s College, Stranorlar up against Rice College, Westport with a 12 noon kick-off. 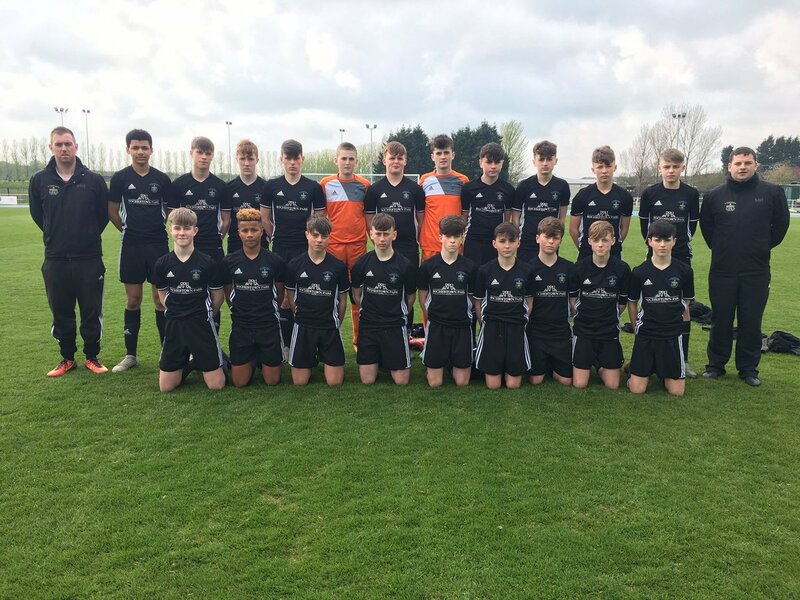 The FAI Schools Minor Boys National Cup Final is up for decision then on Wednesday, May 8.